The Short Studies in Biblical Theology series is designed to help readers see the whole Bible as a unified story-culminating in Jesus. Insightful, accessible, and practical, these books are perfect for readers looking for bite-sized introductions to major subjects in biblical theology. 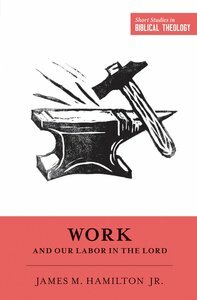 The third volume in the series, Work and Our Labor in the Lord explores how work fits into the framework of the whole Bible-looking at the original creation purpose for work, how it was affected by the fall, and the hope for lasting good offered to all who toil and labor in the Lord today. About "Work and Our Labor in the Lord (Short Studies In Biblical Theology Series)"
Marriage is so much more than a human institution. The Bible teaches that marriage was created by God and reveals an eternal mystery-the mystery of the gospel. In this way, marriage paints a picture of our salvation in and through Jesus Christ. In the second volume in the Short Studies in Biblical Theology series, pastor Ray Ortlund traces the Bible's teaching on marriage from Genesis to Revelation - revealing how marriage stands at the center of God's redemptive purposes for the world. Helping us grasp a cosmic vision of this oft-misunderstood institution, this volume honors and exalts marriage as a grand display of the gospel, offering guidance and hope for our own marriages today.